Have a plan. Make a list (or a least a mental one) of what you hope to find. 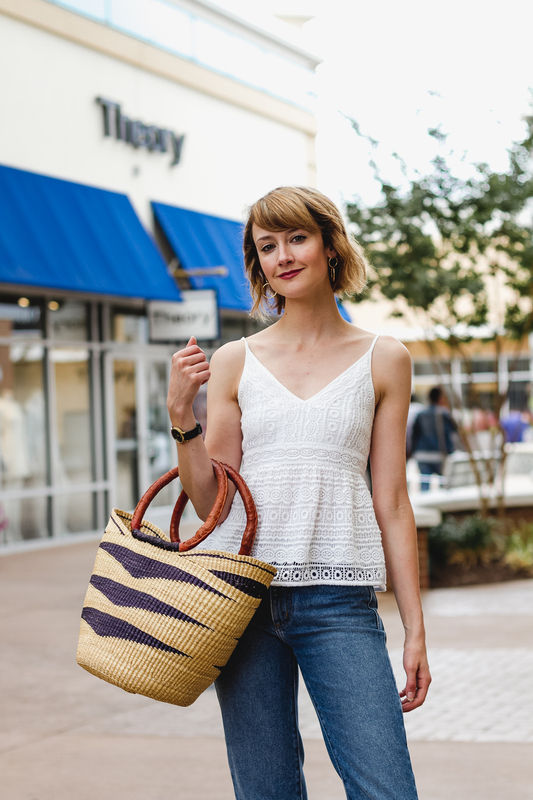 There’s always a possibility you’ll stumble upon something fabulous you don’t actually need, but targeting the shops that have what you’re looking for will increase the likelihood you’ll come home satisfied. Mark the map. I’m terrible at shopping with a time limit, so I looked at the list of shops beforehand and marked the places I knew I wanted to go. 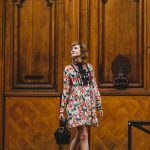 This helped me streamline my shopping trip and avoid any FOMO. Use the app. Tanger offers a helpful app for Apple and Android with all the latest sales and events. Tanger has outlets all over the country and you can set the app according to your current location. I found this especially handy when I was putting together my shopping “plan of attack” so I could target the places with special discounts. If you join TangerClub, you can use the app to track your shopping receipts and rack up points towards gift cards, too! Fila – This one was on my list from the beginning, but I had no idea the selection was going to be so good. I grabbed a cute sporty dress, branded t-shirt, and classic white sneakers that totally fit the ’80s sneaker trend of the moment. Michael Kors – I popped in here on a whim and boy am I glad I did! They were offering 70% off all handbags and they had so many cute options, I had a hard time picking just one. I ended up getting a chic navy bucket bag pictured in my outfit below. Kate Spade – I foolishly assumed the Kate Spade store would be all about handbags, but there was a great selection of jewelry and dresses, too. I picked up an adorable mini cactus necklace (also worn in my outfit below) and pinata earrings. Le Creuset – Whenever I go outlet shopping, I make a beeline for the Le Creuset. Their cookware lasts forever (and the cool French aesthetic certainly doesn’t hurt). Tanger has a great store with a large selection. My biggest regret was that I didn’t bring my son on this trip. The resort has lots of fun activities for kids, like summer movie nights in the atrium (they were showing Coco the night I was there), ghost tours, pool games scavenger hunts, a silent disco, and even a cool laser show that I could see from my hotel room balcony! There’s also lots to do in the surrounding area. 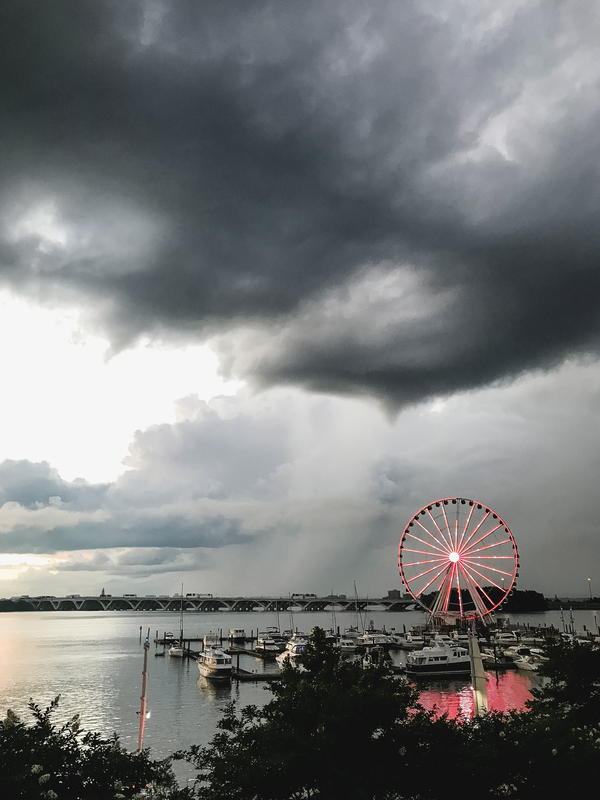 Obviously you know about aforementioned shopping, but you can also take a ride in the Capital Wheel, ride the water taxi, or take the complimentary shuttle to nearby MGM National Harbor to check out the casino or a show. I was lucky enough to get a preview of the resort’s new express spa services the day before they opened to the public. What a great idea! Those of us traveling for work or short trips rarely have time to take advantage of full-length spa services so Relâche Spa offers a menu of services ranging from 10-25 minutes, priced from $20-$65. I was so impressed by what a difference the facial made on my skin in half the time, it had me wondering why more spas don’t offer this option. If you have more time, I highly recommend taking advantage of one of their full-length services, which offer access to their Riverview Relaxation Lounge, sauna, steam room, and whirl pool. If you’re planning a trip to DC or just a relaxing staycation, this place should be on your list! 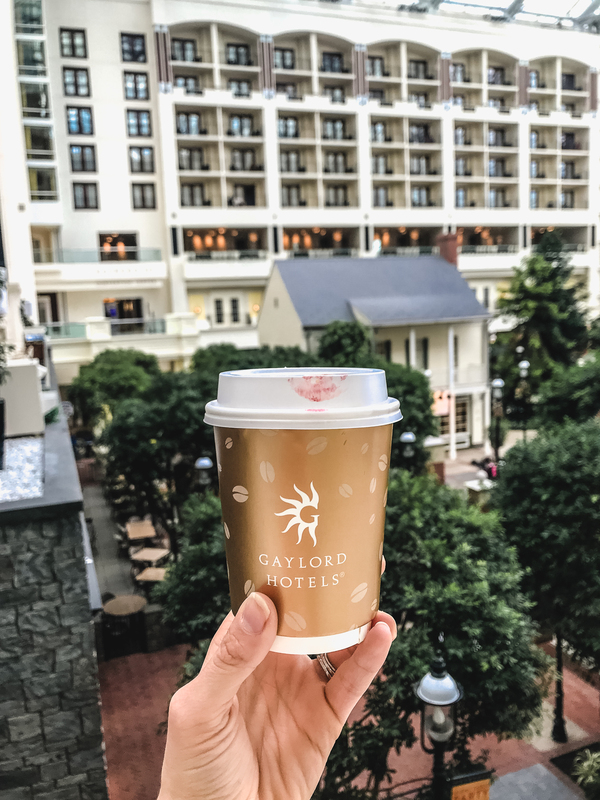 Thank you Tanger Outlets and Gaylord National Resort for partnering on this post! What a great D.C. attraction! My Tanger Outlets pale in comparison. But I do still like to stop by for a great deal at my favorite outlet stores. Of course like you I’ve found myself shopping more online these days, but there is something to be said for being able to see a garment in person. 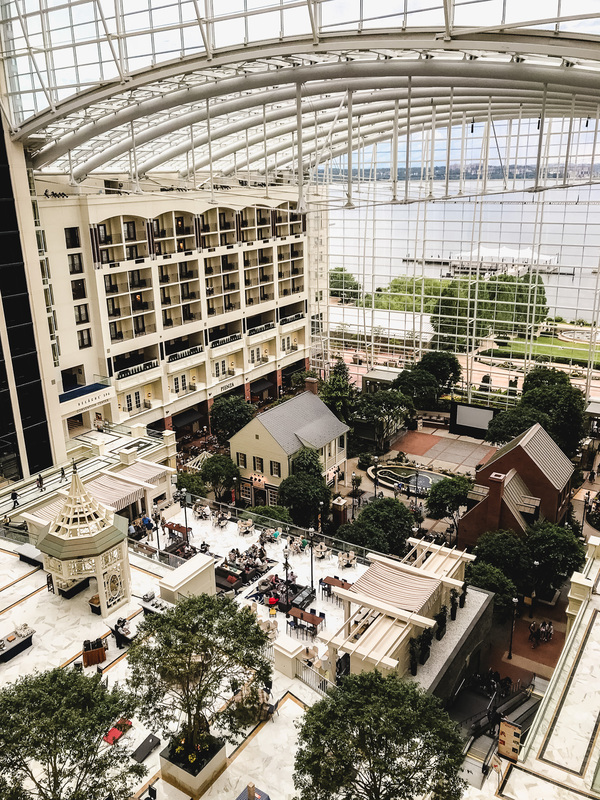 I LOVE National Harbor and the Gaylord is beautiful as well! I watched fireworks from their rooftop bar a few months ago and it was spectacular. Beautiful photos, girl! Oh I bet that was fantastic! I need to catch the fireworks next time! I love to outlet shop too. Good tips and sounds like a great place! Woooohh i love the outfit you wore for shopping. Wow this place looks amazing !